Pinterest is driving me crazy. Has anyone else noticed this? All of a sudden my feed has blown up with "chosen for you" pins selected, apparently, by an algorithm that doesn't take into account whether I have already pinned said item. It's super-annoying, because in at least half the cases, I HAVE already pinned said item. This a) tells me that Pinterest has kind of become a closed loop and b) I don't check it much anymore. I do still use it to pin things (mostly sewing related) that I find online, but the feed is kind of useless to me now. 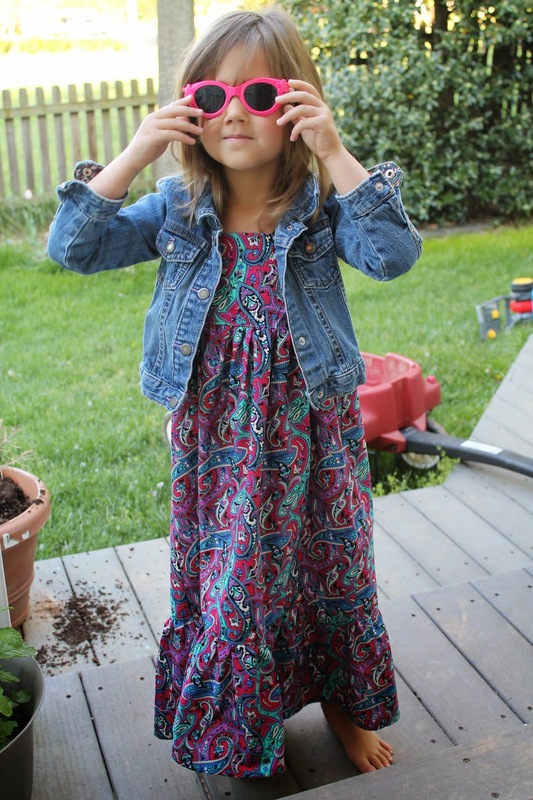 BUT, yesterday I logged on and saw, at the top of my feed, the Boho-Maxi Dress tutorial from Scattered Thoughts of a Crafty Mom, selected especially for me. I had actually pinned this ages ago, but had forgotten about it. 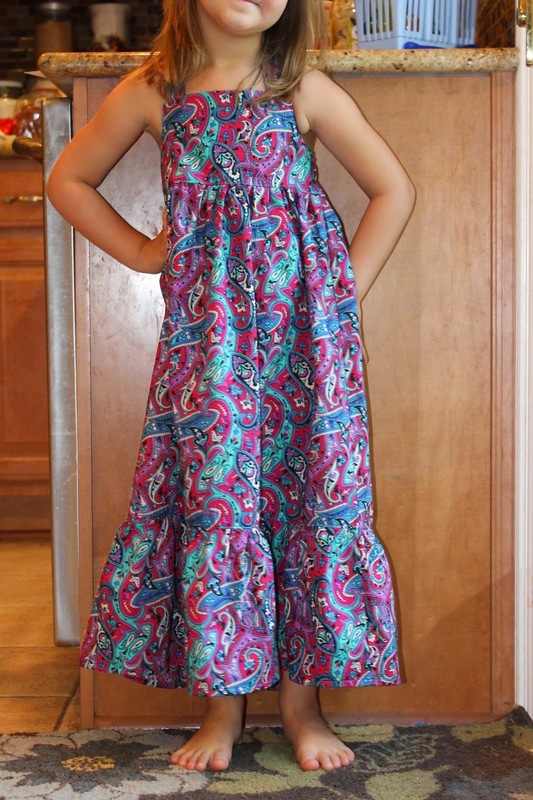 My girls have been dying for maxi dresses and I wasn't sure what I would sew for the last day of this KCW. It was serendipitous. Anyway, as this dress requires nearly 2 yards of 45" wide fabric in my girls' sizes, I had to dig into the mama fabric stash box. I found this paisley pima cotton lawn I got over a year ago at FabricMart. When it arrived I immediately regretted the purchase - I couldn't think what I would possibly make myself with it. So it went into the bottom of the stash box. 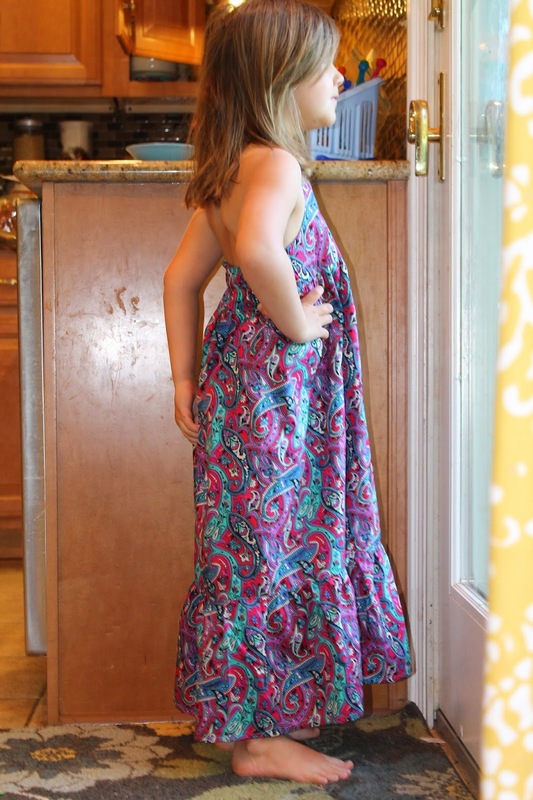 When I presented the girls with their fabric choices, though, little sister immediately grabbed it and called dibs. I'm really glad she did because this stuff was a dream to sew. It gathered perfectly, pressed crisply, and didn't make my machine crazy. The pattern is very cute and sews up quickly. The straps are a little wide for my taste but that is easily remedied in a future version (and big sister has also chosen fabric from the mama stash box, destined for the same pattern). Six sundresses, two pairs of pajamas and the completion of a pile of WIPs later, this KCW is over! I am not quite sure what I will do with myself now. 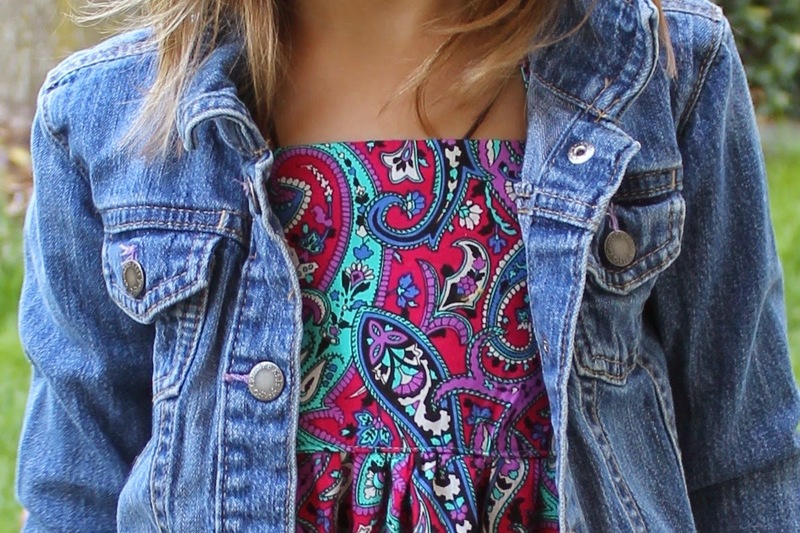 So pretty, I love a good paisley. I get sick of those pinterest pop ups too. I am off to look at your pin. Boo has been pestering me for a maxi dress for too long. IT's a really quick sew and a cute result although I will say that the straps on the ones I made have not held up super-well. I think next time I'd interface the seam where they meet the bodice, and on the voile one I made, I'd interface the entire strap.